In the sixth episode of Turnbuckle Radio, Brian and Trevor break down the action from the May 22 and 29, 2013 broadcast airings of NXT in Full Sail, Florida. 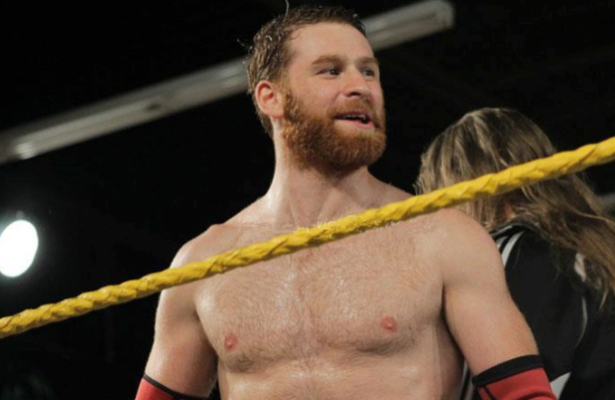 This episode includes matches with NXT newcomer Sami Zayn vs. Curt Hawkins/Antonio Cesaro, the newly formed redneck duo of Scott Dawson and Garrett Dylan, and the results of the 18-man Battle Royal for the No. 1 Contender spot for Big E. Langston’s NXT Championship. Also, we talk about Stephanie McMahon’s historic announcement as she unveils the brand new NXT Women’s Championship. Next week, we will recap the June 6 & 13 airings of NXT on The Score. Tags: Antonio Cesaro, Battle Royal, Big E Langston, Florida, NXT, Sami Zayn, Stephanie McMahon, Turnbuckle Radio, WWE, WWE NXT. Bookmark the permalink.